It was a dark and stormy night. Actually, it was a Tuesday. Sometime after lunch. I have no idea what the weather was like. Other than that, the way we met Kole sounds very much like the beginning of a paperback mystery. Cat left the bank feeling hopeful. It’s one of her gifts – finding little rays of hope in seas of gray – and she was excited to see what theCHIVE had to offer. She got home, typed the address into her browser, and frowned. “All I saw was beautiful women and jokes from dudes, I thought he had made a mistake,” she says. Confused, she closed the window and went on with her day, caring for her very medically fragile son. Kole is six years old. That’s three times as old as he should be according to the prognosis doctors gave when he was born. 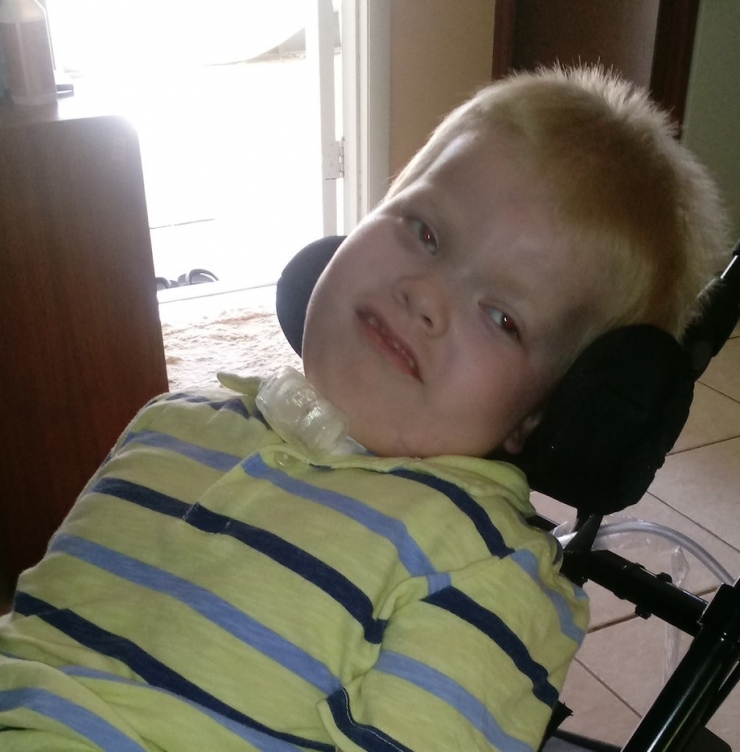 Kole has Miller-Dieker syndrome with lissencephaly, an extreme brain malformation that causes a long list of severe intellectual and physical disabilities. Most patients with this disease only live until about age two. Except Kole. Then she met Dr. Wolf. Under the cover of darkness, professional reputation on the line, Dr. Wolf blew the lid off medical science as we know it. Actually, she did what any good doctor would do, and showed Cat a little humanity. “We’re doctors, we’re not gods. No one knows for sure how long a person has to live. Keep your chin up.” It was the tiny ray of light Cat needed to get tough and fight for her son. And it’s been tough. 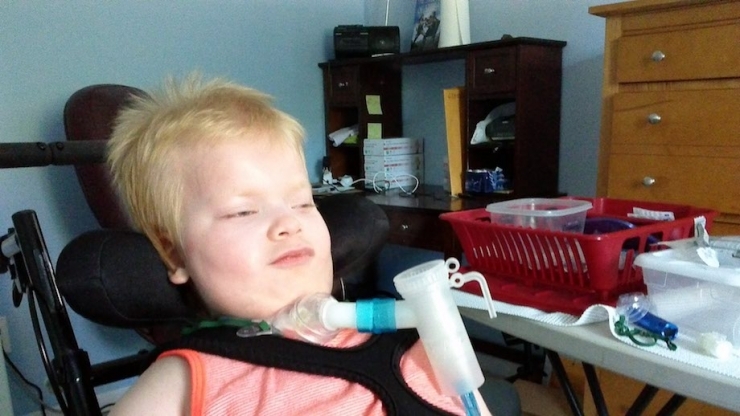 At 15 months, doctors placed a feeding tube directly into Kole’s stomach, and at three years he had a tracheotomy to facilitate breathing. 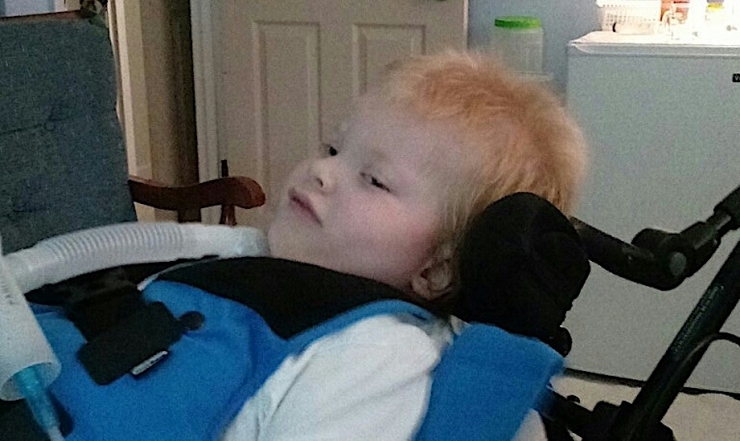 Aside from facial expressions, there is very little Kole controls on his own; he has both weak muscle tone and abnormal stiffness as well as hip dysplasia, which makes sitting upright painful and often causes seizures. Cat estimates he has been hospitalized for pneumonia at least 25 times, and been admitted for asthma and tracheitis several other times. 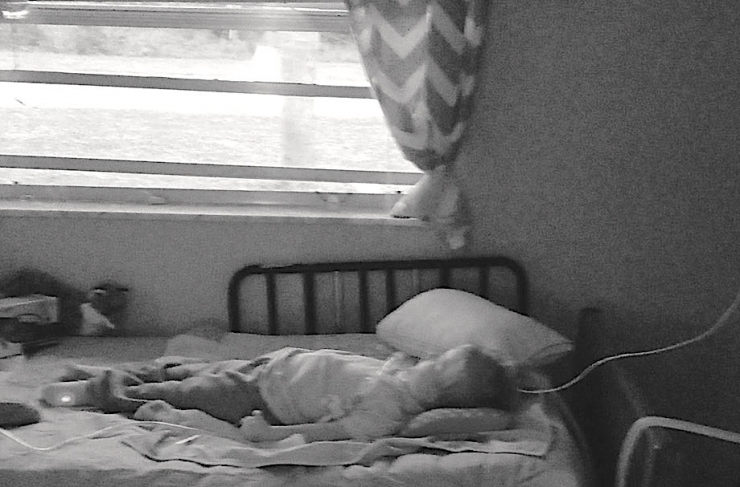 He’s 100% dependent on his mom, step-dad, and nurses for, well, everything. When you get to know Kole a little bit, you learn he loves music, especially anything with a good beat; his favorite cartoon is an old school anime series that his step-dad first showed him – it’s called “Moomin,” and I have to admit it’s pretty adorable; and he would 10/10 recommend Sparky, the family dog, who seems to love Kole just as much. There is joy in this little boy’s life, in many of the same, simple things you and I like, too. A month after that serendipitous day at the bank, Cat was still thinking about the slip of paper. 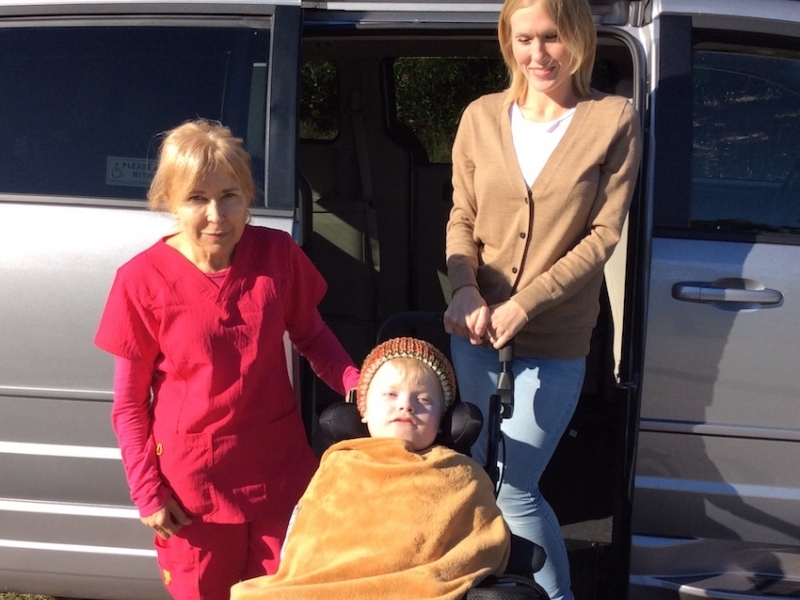 She’d been trying to get a wheelchair-accessible van for over a year – even the shortest car ride was miserable for Kole – but no one would help. 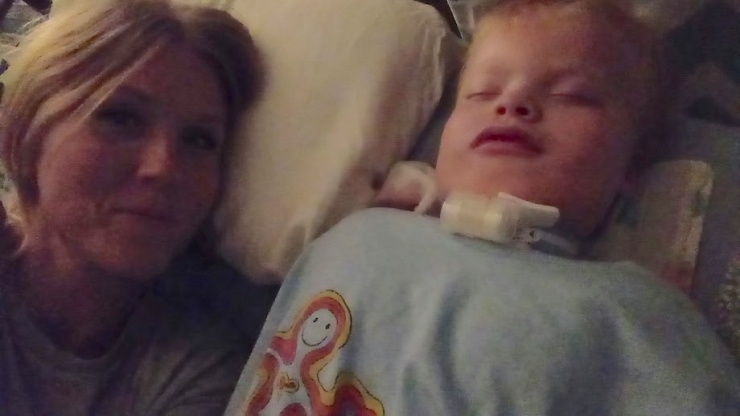 This was no way for her little boy to live. Cat looked up theCHIVE again, and this time, she got it. In our last phone call, Cat shared one of her darker moments: “In my mind, I’ve played out the rest of our future: he would be bound to the bed, bound to the home. All these images of discomfort...it’s basically impossible to ever really go anywhere.” Kole won’t ever play baseball or build a pine box racer, but his mom would sure like him to experience the sounds at the beach, or maybe the smells of a botanical garden, or even a simple trip to the grocery store. 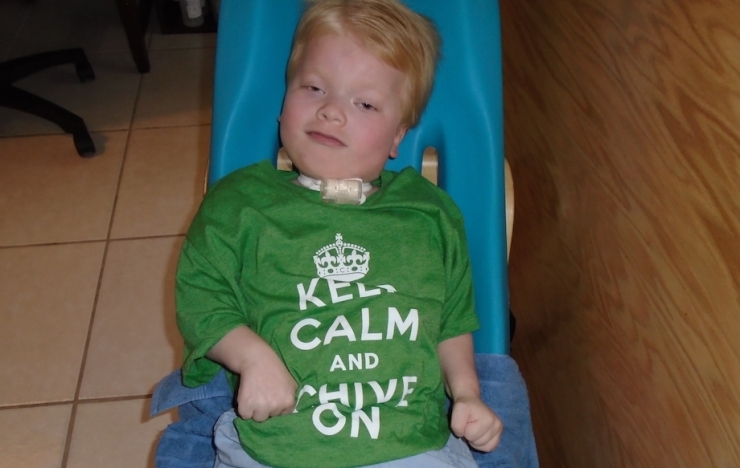 Every moment counts, and Chive Charities wanted to make sure there were lots of great moments in Kole’s future. 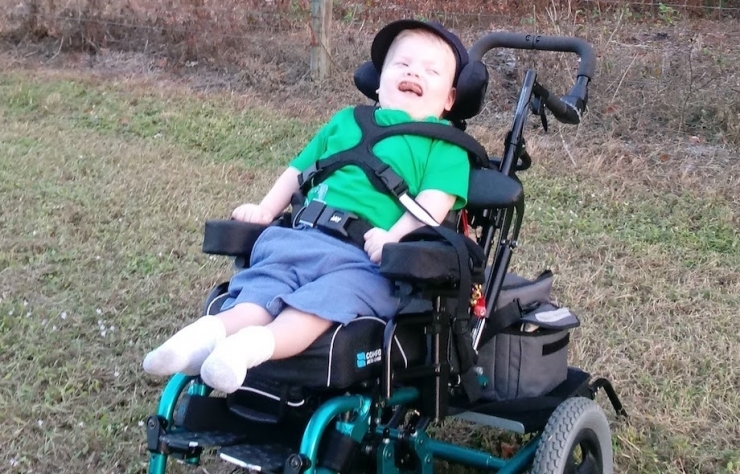 The Green Ribbon Members who donate every month made it possible for Chive Charities to give Cat and Kole, Hideyuki the step-dad, and hopefully Sparky the dog, a $44,000 grant for the ADA-accessible van they need so badly. Special shout-out to the mysterious Chiver who pointed Cat in our direction and helped change this family’s life in so many ways. If you haven’t signed up to be a Green Ribbon Member yet, head over HERE to get started. 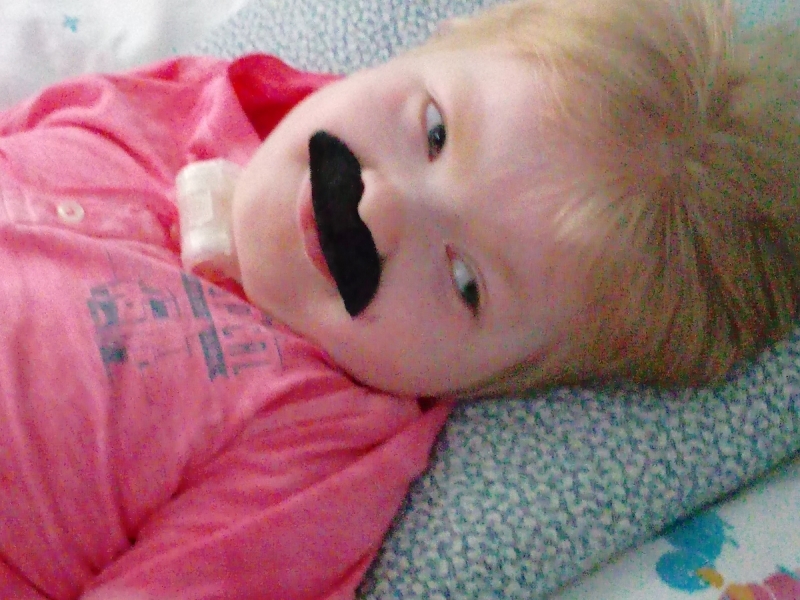 You can be the one to make every moment count for more kids like Kole, plus there’s a cool t-shirt involved.